While we were away, a variety of interesting shark news stories were reported. Here are links to some of my favorites. It’s been an exciting time for shark conservation. In addition to the Shark Conservation Act passing the Senate, the Northern Mariana Islands voted to protect sharks in their waters, and the Phillipines will start protecting thresher sharks and manta rays. The IUCN shark specialist group also came out with a study recommending a complete ban on shark finning in European Union waters. A Brazilian NGO called the Environmental Justice Institute is suing to stop illegal shark finning in Brazil. A variety of new public education initiatives were reported. The NGO Shark Savers began a new shark fin soup campaign. Shiver, a documentary about the shark fin trade in Mozambique, is now available for free on Vimeo (warning: graphic). Photojournalist Alex Hofford took pictures of a “shark fin sidewalk” in Hong Kong, the city where an estimated 80% of shark fins end up. A New York aquarium is planning a new shark educational center. A Florida fishermen was convicted of selling illegal shark fins. Two sharks in Delaware were found without their fins, something that would be fatal for species other than sand tigers. Don’t get all excited about a potential sustainable fin fishery, though, since sand tigers are critically endangered in large parts of their range. A tagged blue shark set a new swimming distance record– nearly 5,100 nautical miles. New research shows that great white sharks aren’t very good at biting in their juvenile phase. Finally, a volunteer SCUBA diver in the New Jersey State Aquarium was rushed to a hospital after being bitten by a shark. 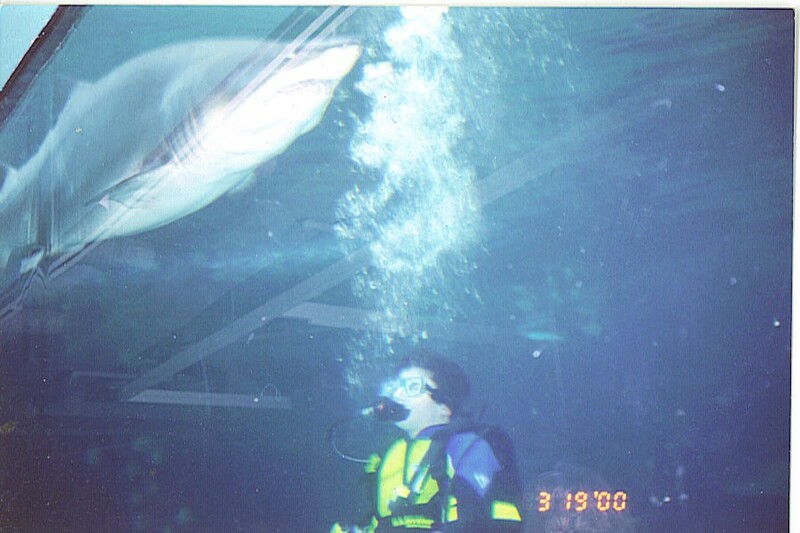 This is noteworthy for a variety of reasons, not the least of which is that I went SCUBA diving in that very tank with those same sharks, an experience that spawned the awesome college entrance essay that I’m still convinced is the main reason I got into Duke. The blog-cation is over now and I’ll be able to provide more regular shark news updates. Please let me know if there are any shark news stories from the month of December that I missed (other than the shark attacks in Egypt, a big post on that topic is coming soon).